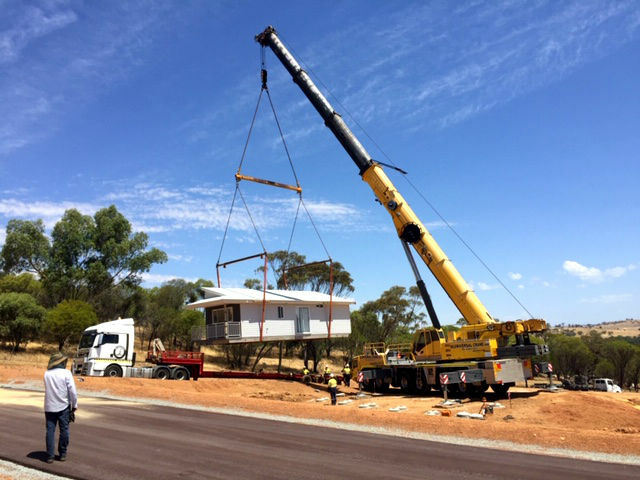 Modular Homes WA 2019 » The First Home for Northam Eco Village Has Landed! 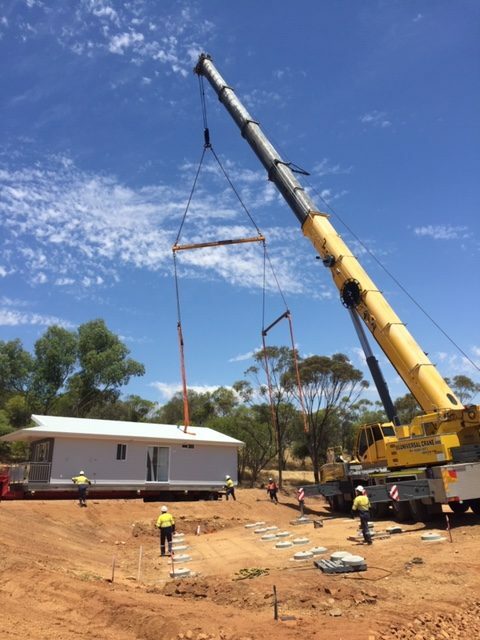 Modular WA are pleased to share that the first house has landed for the Northam Eco Village, with three more to follow in the coming weeks. 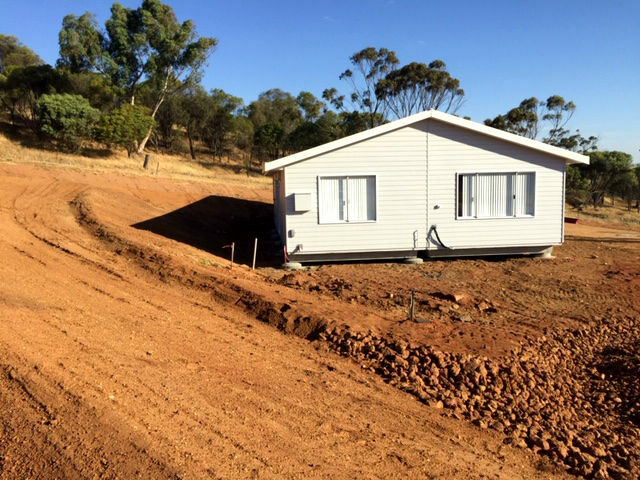 Northam Eco Village is an exciting new development just under 100km Northeast of Perth. Residents of the village will own their home 100% with no exit fees or strings attached when they leave. The benefits of a healthier lifestyle, escaping the stresses of the city with larger home sites, walking trails, locally grown produce from the organic orchard and exercise/relaxation in the gym and clubhouse swimming pool ensure the best of country living with all the convenient shopping, health services and amenities of Northam close by. 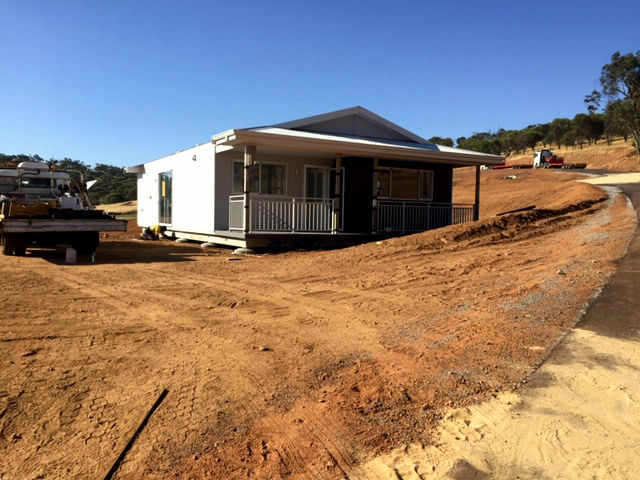 All four display homes are due to be complete early 2019 – we can’t wait for you to see them! Visit the Northam Eco Village website to find out more.